Oregon’s wine industry tops 500 wineries in 2012. That’s a lot of wineries! Oregon’s wine industry had more than 500 wineries and production exceeded 50,000 tons in 2012, according to an annual report produced for the Oregon Wine Board. The North Willamette Valley continued to dominate with about 73 percent of the wine grapes crushed in 2012. The Rogue Valley was the second highest producing region with about 10 percent of the total. 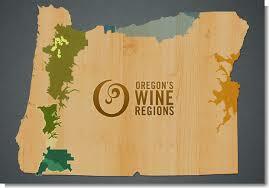 Southern Oregon University Research Center gathered the data for the Oregon Wine Board. Officials cautioned that changes in how the information was gathered may have skewed the results. For 2012, researchers counted 325 wineries in the North Willamette Valley, an area that includes the Salem area, areas north of Monmouth, Dundee and the Yamhill-Carlton District. That compares to 270 in 2011.